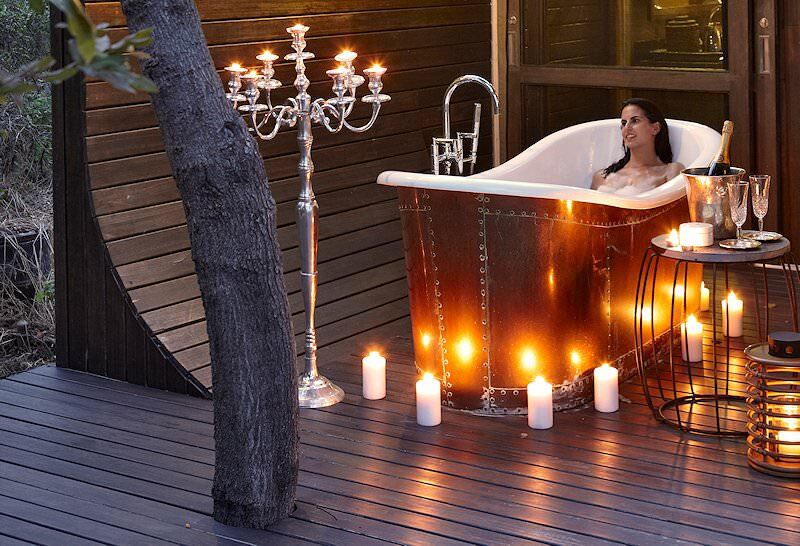 Abu Camp is located in Botswana's Okavango Delta. It is a great destination for an authentic elephant-back safari. 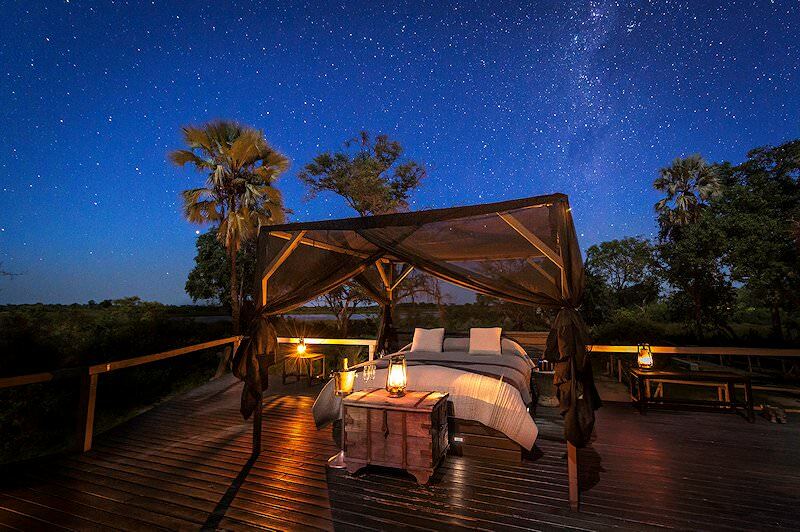 Abu Camp is an African safari lodge located in Botswana's Okavango Delta. 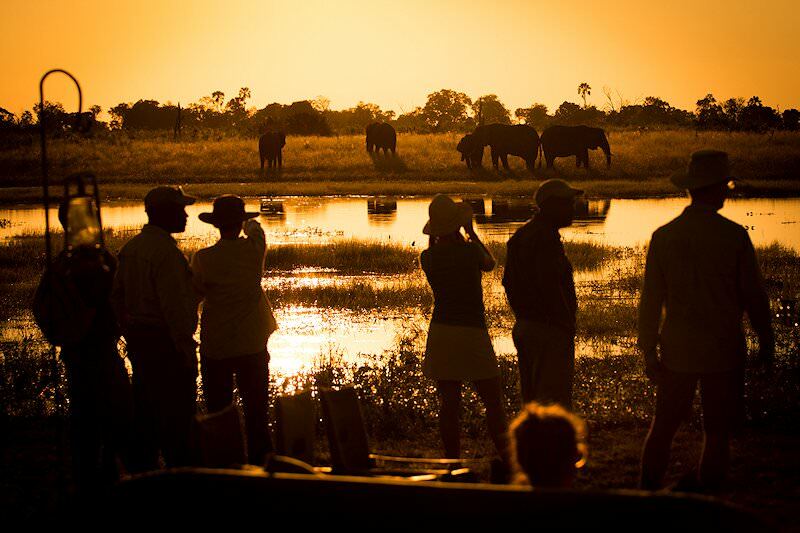 The Okavango is generally regarded as a natural treasure and one of the world's last true wilderness areas. 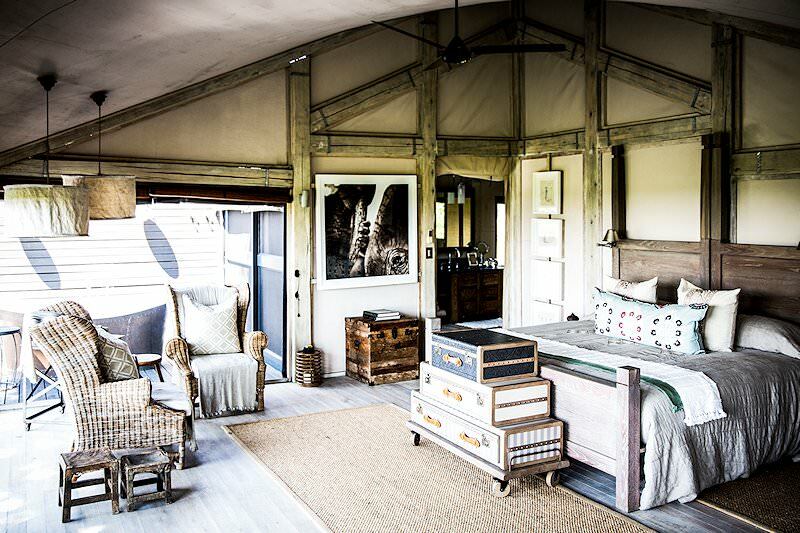 Six opulent tented rooms provide every luxury imaginable in this remote African safari area. The rooms each feature generous decks from which views of the the surrounding landscape can be savored. Indoor and outdoor showers, as well as a separate seating area, add to the spaciousness and refinement of the accommodation at Abu. Well-lit pathways link the rooms to Abu Camp's central areas. 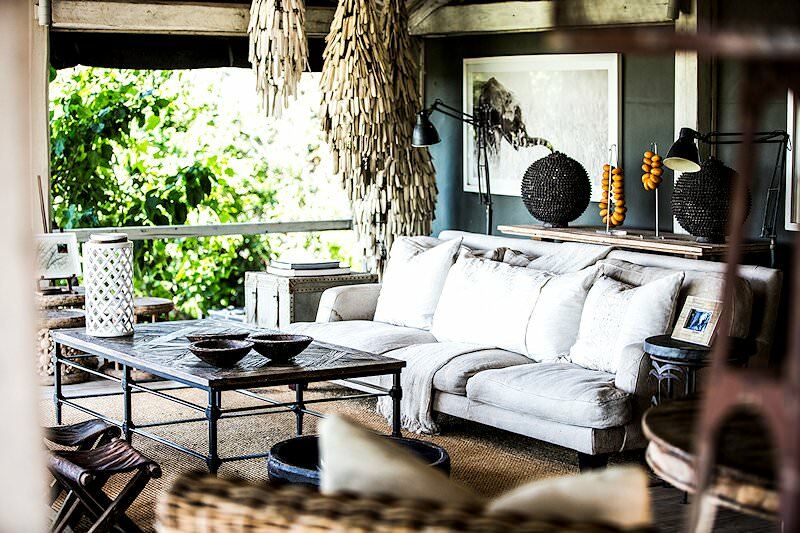 These include a spacious dining room, lounge and a well-stocked library where you can relax and unwind between safari activities. The cuisine is prepared by internationally trained chefs. Meals are served in the dining room or alternatively around an open fire with the sounds of the African night providing the ambiance. 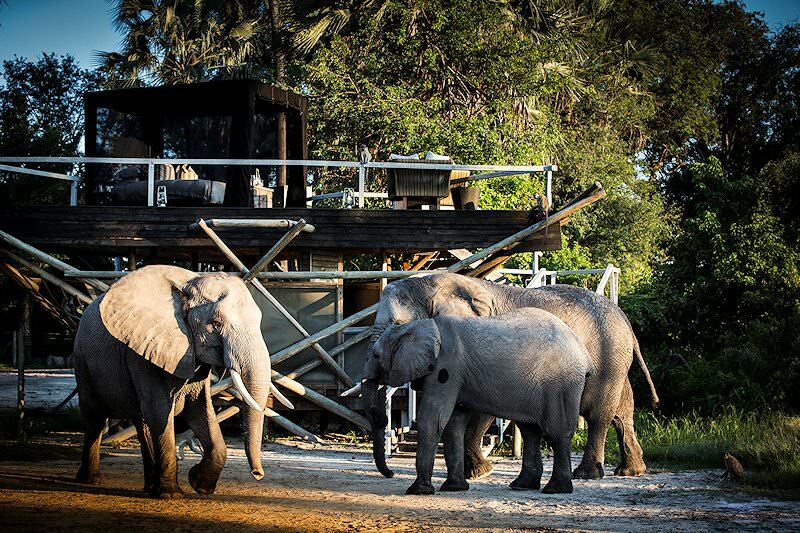 The safari activities available to guests include elephant interactions of various kinds. 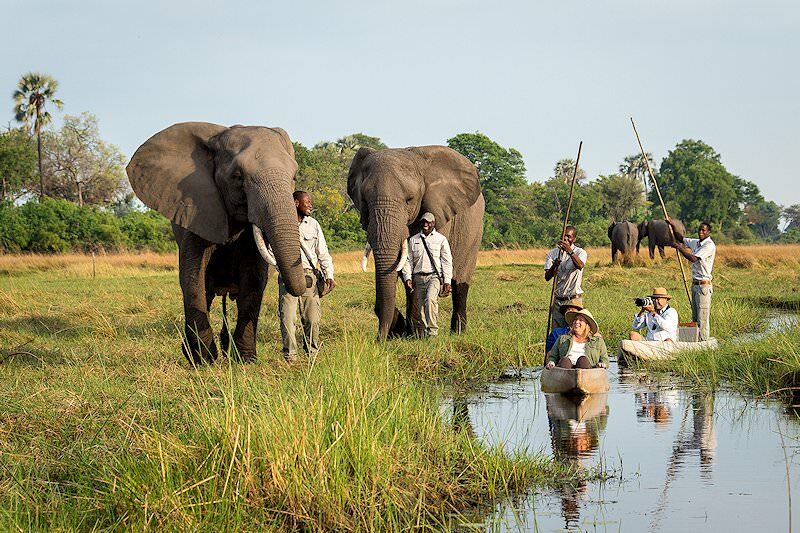 You will have the opportunity to interact with an elephant herd; walk with them through the delta either on foot or astride one of the giant pachyderms. Other more traditional land- and water-based game viewing opportunities are also available. 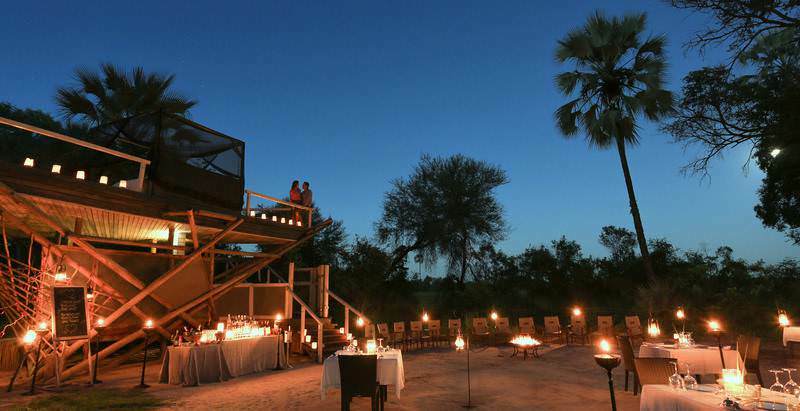 If a truly unique safari in Botswana is what you are looking for, there is no better choice than Abu Camp. 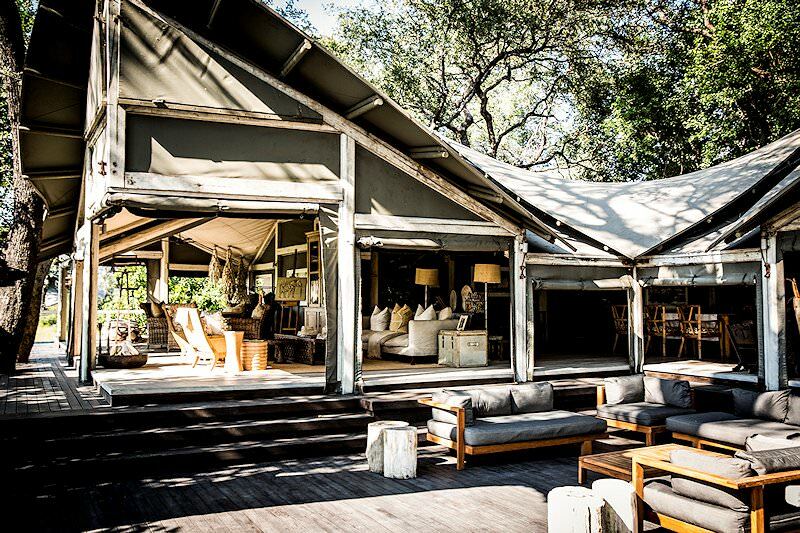 When booking a safari package to Abu Camp, you will fly from Johannesburg to Maun where a light charter flight is boarded. The flight, which is around twenty minutes in duration, lands at an airstrip close to the camp. 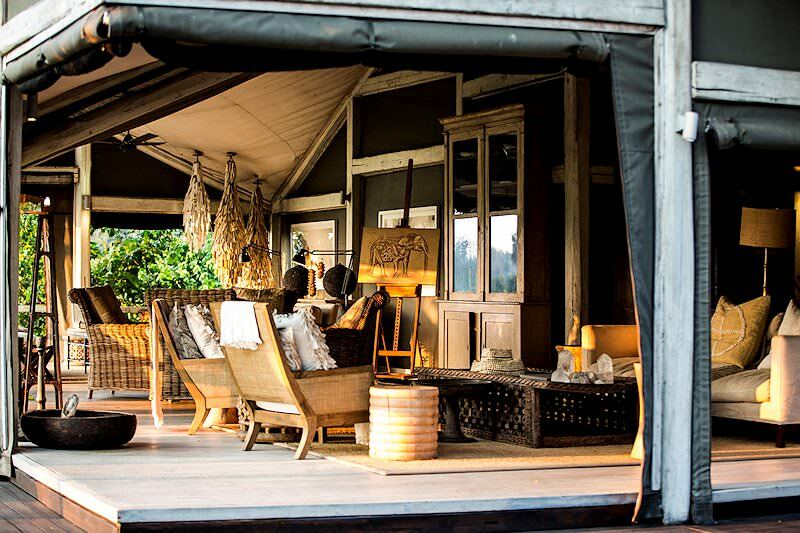 Abu Camp offers guests the distinguished opportunity to immerse themselves in the resident elephant herd. Tread the veld with these legendary giants, observe their interactions, establish deep bonds and survey the bush from the bulge of their backs. 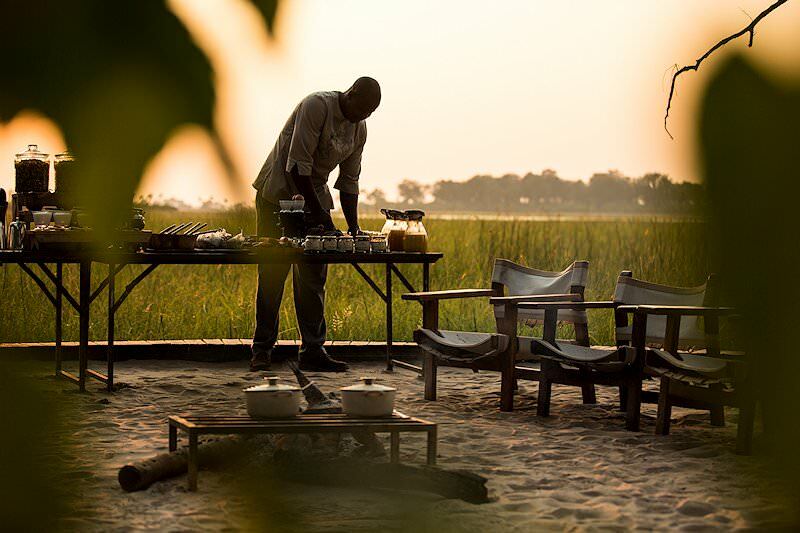 Alternatively, more traditional safari activities like open 4x4 game drives through the flood plains and into the wooded areas of the Okavango Delta can also be enjoyed. For an alternative vantage point, the placid Mokoro trips along the delta channels provide an extraordinarily intimate experience with the wilderness. 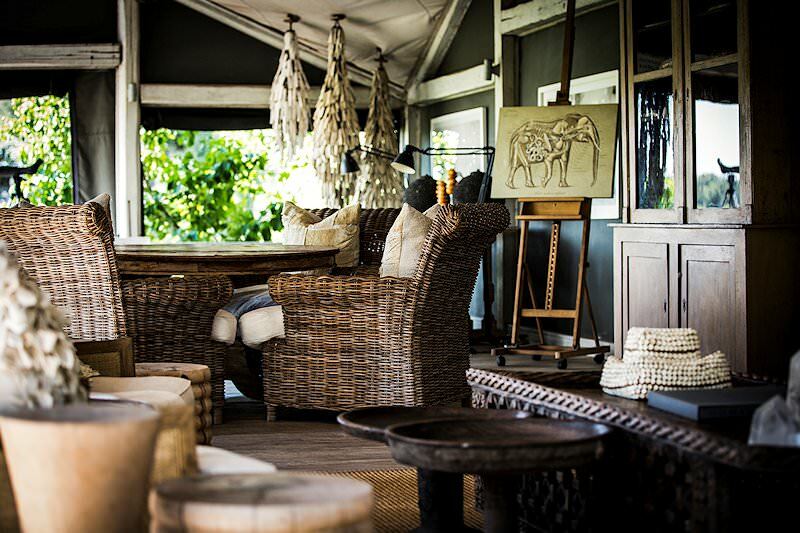 Signature dinners are enjoyed al fresco with the Okavango at your feet. 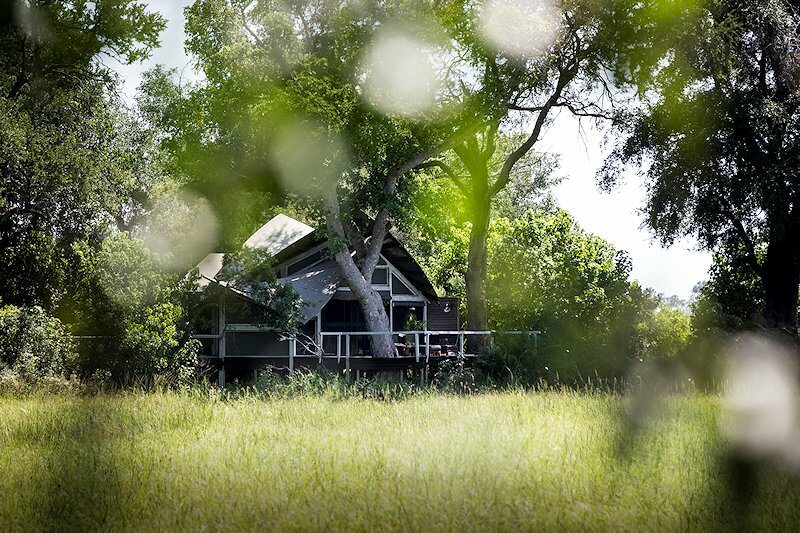 Abu Camp may be considered amongst the finest safari camps in Botswana. It is the birthplace of the African elephant-back safari. Although these safaris are now offered in other regions, the elephant-back safari at Abu remains a cut above the rest. The area in which this camp is located is splendid beyond measure. The camp is exclusive and very tastefully decorated. I highly recommend the unique African safari experience on offer.